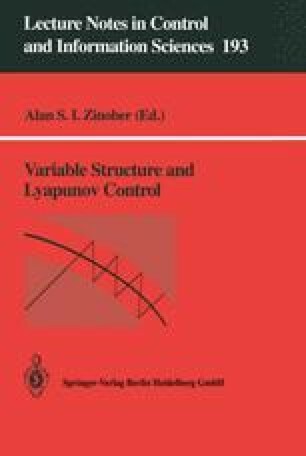 Wide use of digital controllers has placed onto the research agenda the generalization of sliding mode control methodology to discrete-time control systems. In the first studies, control algorithms intended for continuous- time systems were applied to discrete-time problems; resulting in chattering since the switching frequency can not exceed that of sampling. Then methods for reducing chattering were developed in many publications. However, the fundamental question — what is the sliding mode in discrete-time systems? — was not considered. Discontinuous control in continuous-time systems may result in sliding in some manifold, while it results in chattering in discrete-time systems. The sliding mode may be originated in discrete-time systems with continuous control after a finite time interval, while any manifold with state trajectories may be reached asympotically only in continuous-time systems with continuous control (precisely speaking for systems governed by differential equations with Lipschitzian right-hand sides). Design methods for sliding mode control for finite and infinite dimensional discrete-time and difference systems have been developed in this chapter. They enables decoupling of the overall dynamics into independent partial motions of lower dimension, and low sensitivity to system uncertainties. For all systems the motions are free of chattering, which has been the main obstacle for certain applications of discontinuous control action in systems governed by discrete and difference equations.